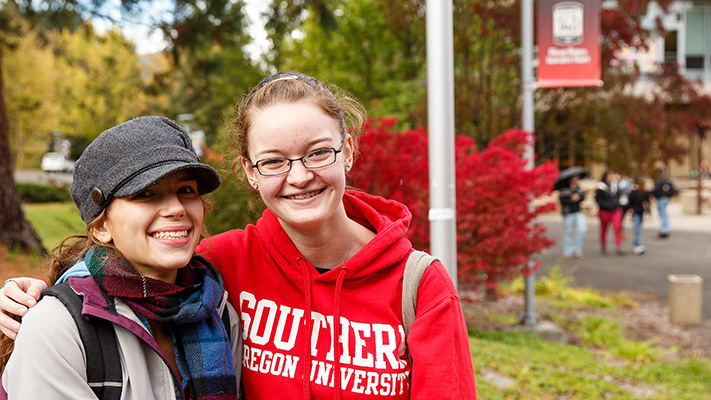 At Southern Oregon University, our admission decisions are based on a holistic review of all information, both academic and personal, presented in your application. Because of our holistic review process, we want applicants to be aware of our students’ average academic profile, rather than minimum requirements. Students who have earned a GED are not required to submit SAT scores, ACT scores, or high school transcripts. If you earned your GED after 2013, your standard score on each of the four exams must be at least 150, with a minimum total score of 680. If you earned your GED between January 2002 and December 2013, your standard score on each of the five exams must be 410, with an overall average score of at least 550. If you earned your GED before January 2002, your standard score on each of the five exams must be at least 40, with an overall average score of at least 58. Additionally, if you earned your GED in the spring of 1997 or later, you must also demonstrate second language proficiency. The SAT test with a combined score (Evidence-Based Reading & Writing + Math) of 1090 or, complete the ACT with a composite score of 21. Two SAT II subject tests: Math I or IIC, and another test of the student’s choice. Students must score an average of 470 or above (940 total) on both tests. Satisfy the second language admission requirement (if the student graduated from high school in 1997 or later).